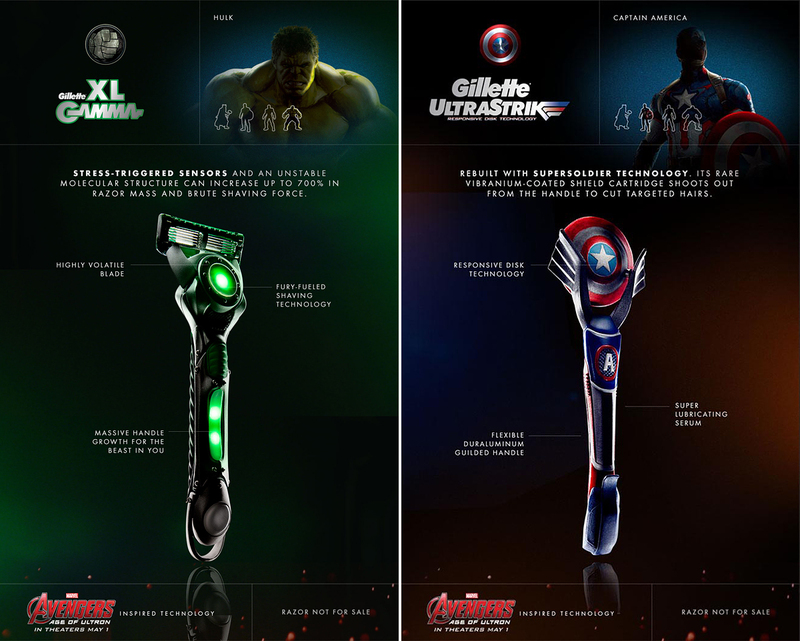 Gillette, the P&G shaving brand, is running an advertising campaign tying in the May 1 release of the Marvel film, “Avengers: Age of Ultron”. 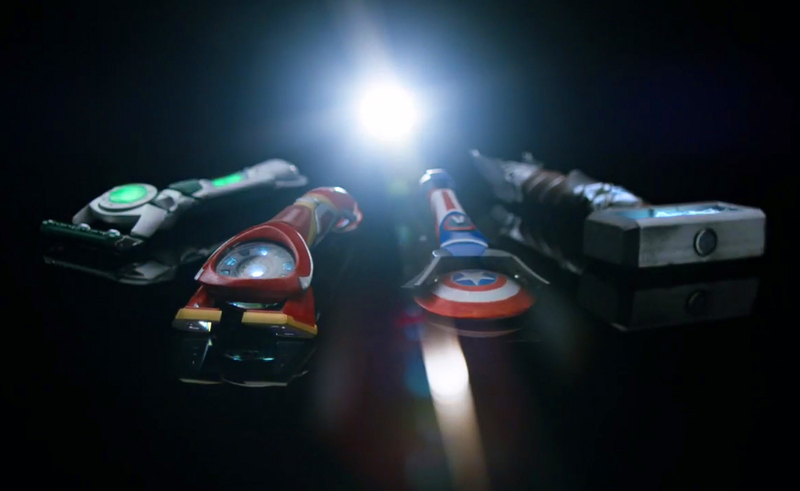 Two online films, “Innovation” and “Aftermath” present four prototype fantasy razors connected with the characters of Iron Man (Repulsor 1), Thor (Gillette Thunder), Captain America (Gillette Ultrastrike), Bruce Banner/Hulk (Gillette XL Gamma). 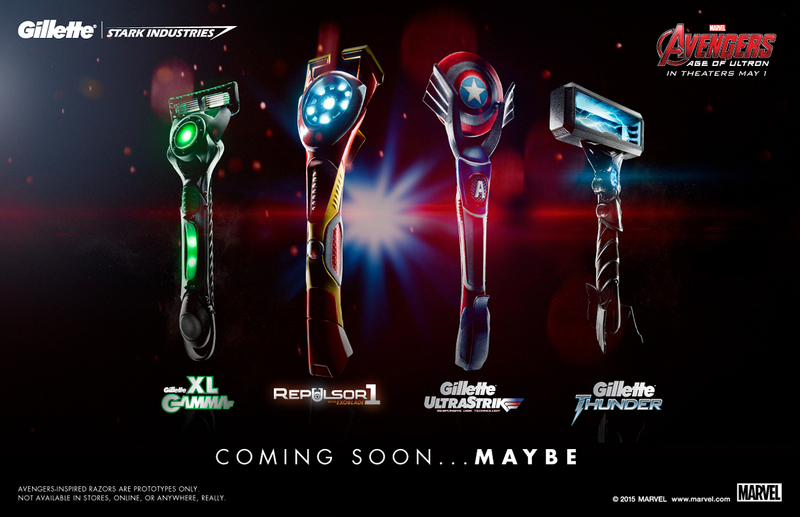 A promotional gathering at Gillette’s Boston headquarters brought in Stan Lee to meet up with Stark Industries research and development director Stew Taub as he revealed the new line, along with Gillette’s genuine Fusion ProGlide with Flexball Technology. 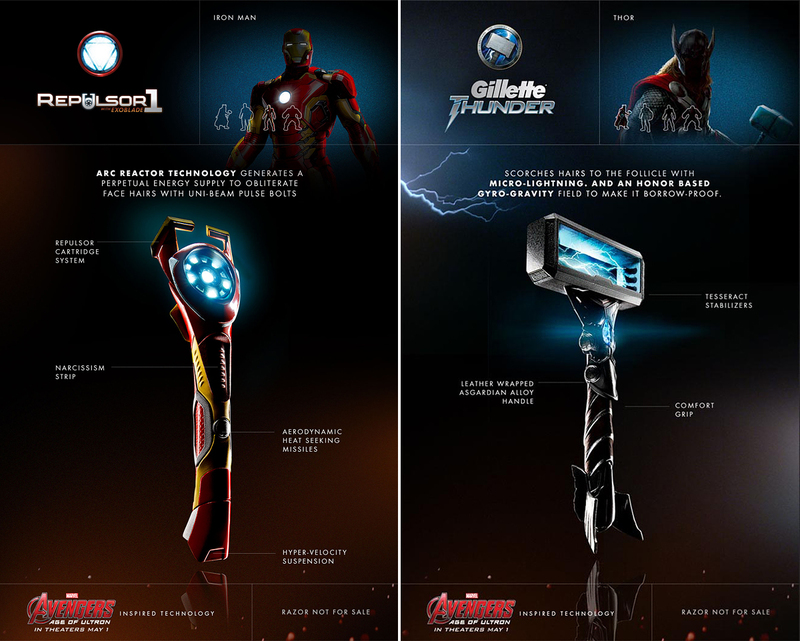 Gillette has hung a giant “Stark Industries” sign outside their headquarters to solidify the promotional partnership.